This is going to be a short post. For those of you who follow my real life, you know I’m wrapping up my residency and getting ready to start my new primary care practice…so it’s safe to say that things have been busy lately. But, that’s no excuse not to eat well. 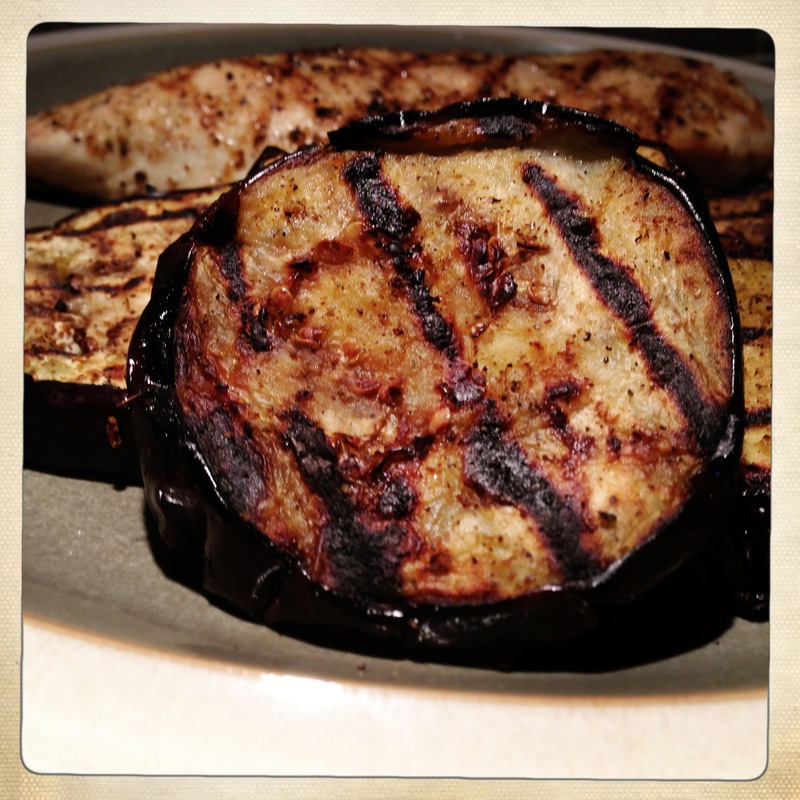 So, this is a quick post outlining a quick and healthy meal we had the other night – grilled eggplant and chicken breasts. 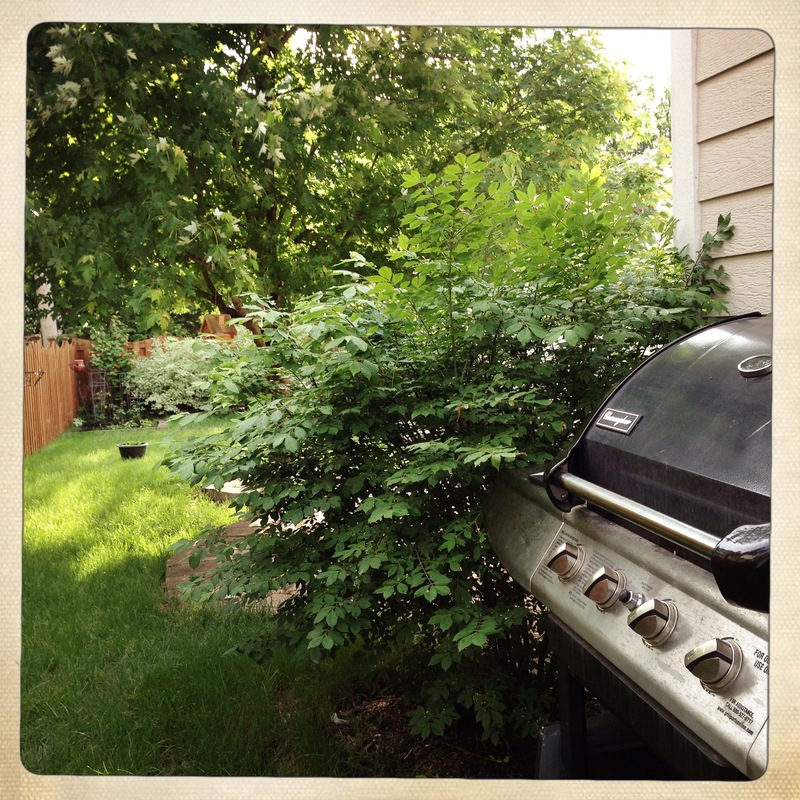 While you are prepping your ingredients, get your grill preheated. I usually preheat to medium-high to get the firebox and the grates good and hot, and then I cut the flame down to medium (or even medium-low) right before I’m ready to cook. One of the most important things about cooking eggplant is preparing it ahead of time to remove some of the bitterness. After you slice the eggplant, lay the slices out on a cutting board or cooling rack and sprinkle liberally with salt. Let sit for at least 5, preferably 10 minutes. This will draw out some of the bitter juices. Blot firmly with a paper towel to remove the juices that bead up on the surface, and repeat on the other side of the slices. This can be done while your grill is warming up and while you trim and season your chicken to most efficiently use your time. Once you’ve prepped the eggplant as above, lightly drizzle both sides of the eggplant slices with olive oil. Then, (same as with the chicken) season both sides with salt and pepper. 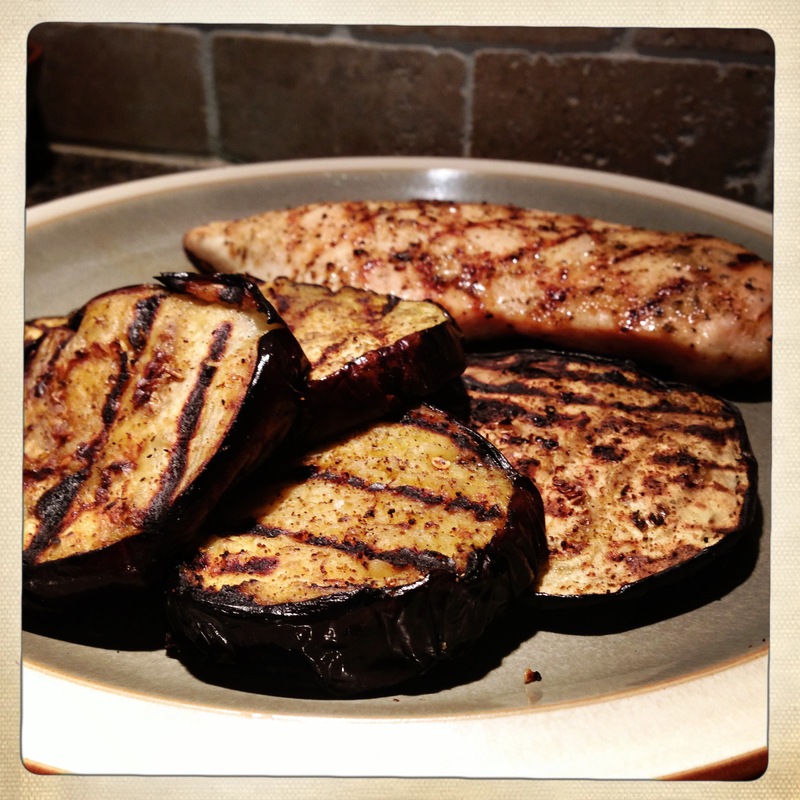 If you are using a rub on your meat, you may want to use it on the eggplant as well, but I usually prefer just salt and pepper to let the eggplant flavor shine through. Cook the chicken and the eggplant, turning the eggplant slices every few minutes. You may need to move the eggplant around to evenly cook all of the slices if your grill has hot spots, and turning them frequently will help you get nice grill marks without turning the eggplant into charcoal. 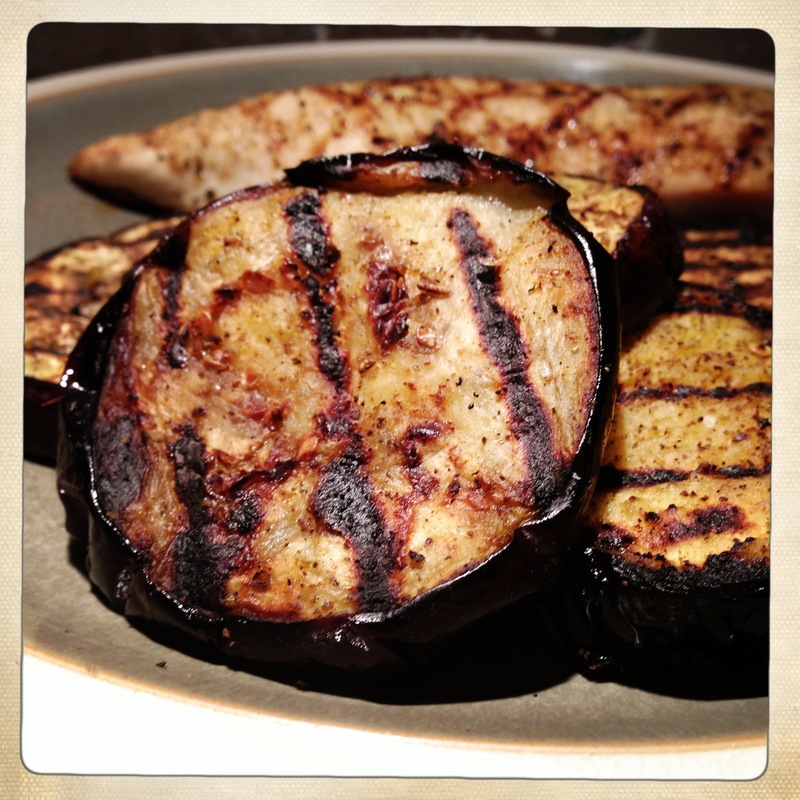 Serve the chicken and eggplant as soon as they’re done cooking as the eggplant will cool quickly. Because the eggplant has a starchy quality in addition to the fresh vegetable flavor, I like to serve this meal without an additional starch, but roasted potatoes or some crusty bread would certainly complement this nicely. Enjoy! Note: If serving this to younger eaters or people unfamiliar with eggplant, be cautious. We recently discovered that, while he loves eggplant, our little guy has a bit of a sensitivity to it. He ended up with some hives, which were no big deal to just observe, but food allergies can be careful – so this is just a reminder to all parents reading this blog: ALWAYS watch your kids closely when introducing new foods, and do not hesitate to contact your physician if you see any type of reaction that you are unfamiliar with.